Unless you've managed to unplug yourself entirely, you are most likely aware that the Duchess of Cambridge is officially in labor with an heir to the throne. We love the royal family for many reasons, one of which is the branded products that appear on the occasion of any royal event. You might remember our blog posts about the Diamond Jubilee and the Royal Wedding. An event as exciting as the birth of a future monarch is no different for royal family watchers everywhere! 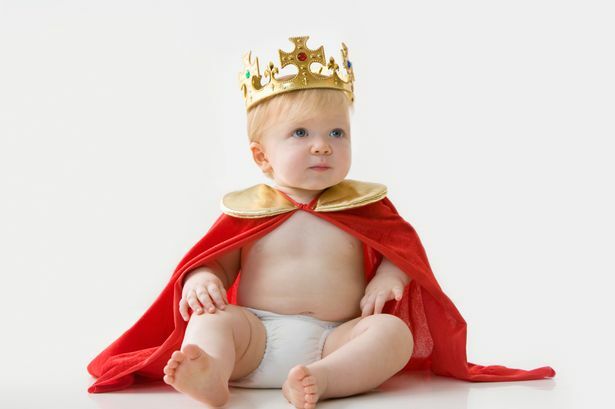 It is one of the most exciting times to be pregnant or have a little one at home because of all of the great promotional products advertising the royal birth. You can be swanky with a royal baby-themed iPhone case, you can dress your baby in a hand-knitted crown, or should you suffer from an unfortunate bout of morning sickness, like the Duchess herself, you can be prepared with a royal-themed vomit bag. We wish the parents-to-be the absolute best with their little one. And in the meantime, we'll enjoy all of the products that make us feel a little royal ourselves. If you think you might benefit from a baby themed promotional product, contact one of our Leaderpromos sales reps today!